Rooftop solar is popular in the Australian community. But it may not always be the case. If solar and, in particular, battery storage systems are sold with inflated claims, or are non-code compliant, public support could be undermined – delivering momentum to politicians keen to scrap the SRES. An important message from BayWa r.e. Solar Solutions Managing Director Durmus Yildiz. Renewables made up 24% of the electricity generated in Australia’s main grids in September. The old adage that it takes a lifetime to build a reputation and minute to ruin could certainly apply to rooftop solar. Ahead of next week’s Quality Roundtable event at All Energy, pv magazine Australia spoke to solar-industry veteran Durmus Yildiz, from Baywa r.e. about the risks to the industry’s reputation as the market creeps past 1 GWpa and pressure mounts on installers. Register for the free event today! Q: Is it true that there are some ‘cowboy’ installers. Are these overblown? What impact are they having in the market? Durmus Yildiz: Those stories are sadly true. I think the pressure on electricians to install as many systems as possible so they can make a living and the unethical sales methods of telemarketers, as well as door knocking sales people, has led to a fall in ethics in our industry. I am relying on some news feeds here, but I hear that complaints to the ACCC [Australian Competition and Consumer Commission] about solar companies is amongst the highest of any industry in Australia. This does not leave a good impression in the general public for our industry and may leave us open to political intervention to curb the uptake. What we need is not more restrictive measures such as more “quality labels” but a more stringent control over installations and more appropriate penalties for companies failing to comply to the most basic of standards which is AS3000. There’s been quite a bit of buzz around battery storage over the last twelve months or so. Do you have any concerns with battery systems you see going out into the market? I admit that I have concerns but I would not be able to pinpoint you to problems which I have seen. Not from a product quality perspective. What I rather fear is that people might be overpromising the capability of batteries without understanding their full potential. There is not much you can do wrong with a solar system, although we still have people who are making quite some mistakes as mentioned above, but there is a lot of mistakes you can do with batteries. And such mistakes are quite expensive to rectify. I think there is a lot of education to be done by the manufacturers. Our standards for grid battery systems are not there yet. My other fear for battery systems is that we do not have much control over them; we are bringing in guidelines and standards but there is no reporting requirement as there is no financial support mechanism associated with it. One could for example change the STC rules to include batteries which then allow some level of reporting requirement and hence quality checks. 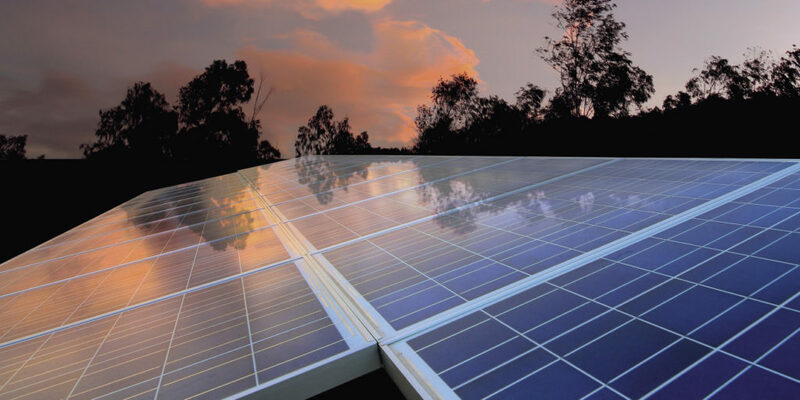 You were involved in the Australian PV industry during the peak FIT days earlier this decade. How would you describe installation and component quality during that period? During the peak FIT days, the quality of products was not as good as it is now. The main reason was not just that we had a boom but there was a general boom in the industry due to FIT in major European countries. This lead to a shortage of products whereby many installers resorted to products which were of inferior or cheaper quality. In addition to that, I would say that our official standards were not up to date to support installers to ensure they are able to pick good products. I would say that installation practices have not changed that much. There weren’t as many quality-oriented “installer accreditations” but I would say that installations back then were as good as they are now. I might even dare to say that the installation quality was better as there was not such a rush to install lots of systems in order to make money. And last but not least, there weren’t as many quality checks of installations; which meant that people got away easier with poor quality systems and installations. How have things changed in 2018? We have moved to a 1 GW [residential rooftop] market. Such a rise comes with compromises as lots more systems need to be installed in short time frames. I recall that in the early days installations took easy more than a day to finish it and hand over to the customer. I regularly hear from electricians that they need to finish off a 6.6 kW system in a day otherwise they would not make any money. The downward pressure in pricing as well as an increase in quality related measures means that installers have to pay more attention. These two things obviously don’t match. In relation to product quality I would say that we’ve made positive steps when it comes to inverters and BOS products – like circuit protection, cabling, racking. But what I do see is that installers are not taking the time and follow the standards as well as manufacturers installation rules as they should. These days there is also a bit of fear to get caught. Do you believe that there is still substandard equipment being installed? I think the fears of substandard equipment fear has decreased a bit. I think that the problem is now that it is substandard installation methods and not following standards and manufacturer’s manuals. What do you do to prevent dodgy equipment going out to the installers that you service? We have strict company guidelines that do not allow us to on-board products from any manufacturer that has not gone through a due diligence process. The importation and liability rules in Europe are not as stringent as they are in Australia, which makes it even more important that we are very cautious. We are also very careful the way we store and handle our products in the warehouse to reduce the risk of microcracks in solar panels as an example. Durmus will be joining a panel discussion on the quality of residential and C&I rooftop projects at the free Quality Roundtable event at All Energy Australia. Register here.